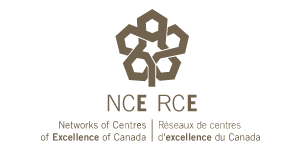 PREVNet was originally established in 2006 through the Networks of Centres of Excellence – New Initiative program and in 2011 became a NCE Knowledge Mobilization program. This program creates networks of some of Canada’s most distinguished, leading researchers who collaborate with industry, government and not-for-profit organizations to focus on key issues of importance to Canadians. These networks are dedicated to transferring knowledge to those who can put it into practice for the benefit of all Canadians. It is PREVNet’s belief that the healthy development of children and youth depends on healthy relationships in the family, school, peer group and community. Promoting relationships is an essential part of eliminating violence among children and youth. PREVNet’s goal is to do this by supporting and enhancing the practice of those who work with children and youth. Our partnership model links researchers with national organizations who work with children and youth so that scientific knowledge is developed, exchanged and distributed to those who need it. All those involved in children’s lives – parents, teachers, childcare providers, recreation leaders and youth themselves – need this information. During its five years as an NCE-New Initiative, the PREVNet network grew quickly and now includes 130 leading researchers (and their students) from Psychology and 13 other academic disciplines, along with 62 national organizations that serve children and youth (for example: Big Brothers, Big Sisters of Canada, Kids’ Help Phone, Canadian Teachers’ Federation, and Canadian Red Cross). Together, we have created more than 80 organization-specific bullying prevention resources including numerous public education presentations on bullying prevention, activities such as a bullying-prevention themed opera, Elijah’s Kite, tip sheets for educators, parents and children about preventing bullying, and a series of fact sheets on bullying prevention in collaboration with SAMHSA, the U.S. Department of Health and Human Services’ Substance Abuse and Mental Health Services Administration. In 2011, PREVNet received a renewed mandate as an NCE Knowledge Mobilization Initiative, with funding to co-create 10 sustainable Knowledge Mobilization Projects. Over the next four years, PREVNet will be focused on supporting the development and implementation of these projects, as well as strategically seeking sustainable funding to support the projects and the longer-term financial viability of the organization. Family Channel’s Bullying Awareness Week – Stand UP! Learn more about our Executive Team responsible for the NCE Projects.